Orlando, Fl. – More than 6,800 nationwide members, advisers, alumni, and guests of Family, Career and Community Leaders of America (FCCLA), gathered in Orlando, Florida, July 8-12 for the 2012 National Leadership Conference. Hayley Gannon and Mary Talbott, upcoming Seniors at Cannon County High School were among them. Also accompanying them were Adviser Connie Lorance and parent Julie Gannon. This year’s student-originated theme for the annual national meeting was “#realitycheck.” Throughout the five-day convention, participants examined and discussed several critical issues, including family, school and community violence prevention, physical as well as financial fitness, future career exploration and countless community service projects. A number of relevant youth issues, such as the changing roles of men and women in the home and workplace, leadership, and obesity prevention were also explored at the meeting through presentations, workshops, and youth sessions. Tennessee FCCLA Vice-President of Community Service and Public Relations Mary Talbott will continue to work with other FCCLA members and advisers in Tennessee to encourage others to discover their strengths, motivate members to target career goals, and initiate a plan to ignite youth leadership in the community. Mary was also among the members that took part in the Leadership Academy program. The Leadership Academy is a series of year-long leadership trainings that are available for members to participate in throughout the national conferences. Through the program, members are given the opportunity to gain leadership training and be recognized for their self-improvement efforts. Sessions took place at the National Leadership Conference and will continue through national meetings, state involvement, and online coursework. Hayley Gannon competed in STAR (Students Taking Action with Recognition) Events on the National level in Career Investigation. Career Investigation is an individual event that recognizes participants for their ability to perform self-assessments, research and explore a career, set goals, create a plan for achieving goals, and describe the relationship of Family and Consumer Sciences coursework to the selected career. Hayley represented Tennessee well and was awarded a Silver metal. She is the first representative from Cannon County to compete in any STAR Event on the National Level. Family, Career and Community Leaders of America (FCCLA), is a dynamic and effective national student organization that helps young men and women become leaders and address important personal, family, work, and societal issues through Family and Consumer Sciences education. FCCLA has over 200,000 members and over 6,500 chapters from 50 state associations, Puerto Rico, and the Virgin Islands. The organization has involved more than ten million youth since its founding in 1945. 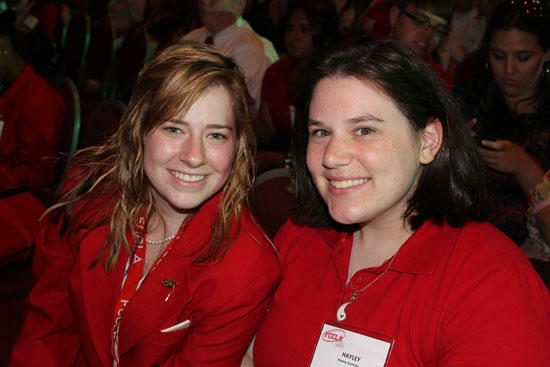 FCCLA: The Ultimate Leadership Experience is unique among youth organizations because its programs are planned and run by members. 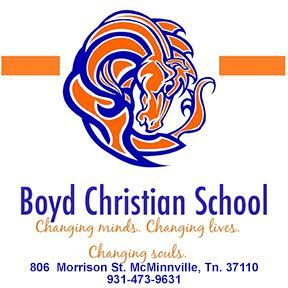 It is the only career and technical in-school student organization with the family as its central focus. Participation in national programs and chapter activities helps members become strong leaders in their families, careers, and communities. Good job, ladies! You make us very proud!